The Desobry Craquants are delicious square biscuits with original flavours. 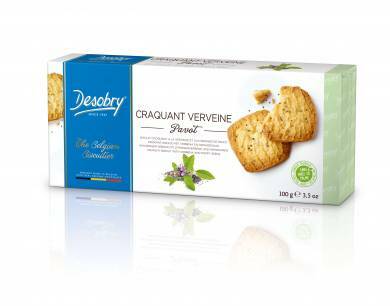 The craquant Verveine-Pavot are special square biscuits with delicious flavours of verbena and poppy seeds. The craquant Earl Grey Bergamote are special square biscuits with delicious flavours of tea : Earl Grey and bergamote !